Danish exports of fresh and frozen pork rose 2% year-on-year to reach 283,000 tonnes, in the three months between October and December. This brought total export quantities for the year to 1.1 million tonnes, up 3% from 2017. Despite Denmark shipping more product abroad during the year, the total value of these exports fell by 9% to DKK 16.5 billion £1.9bn). 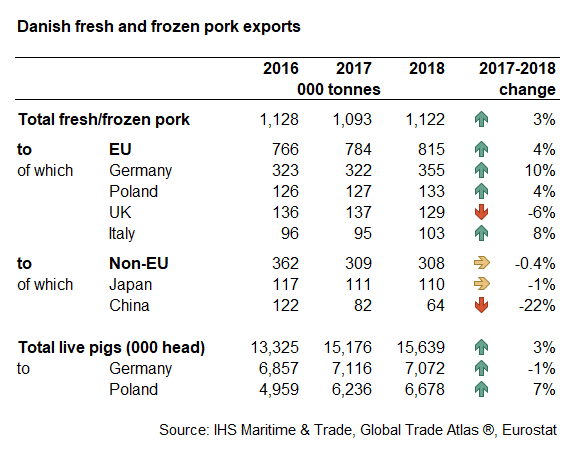 AHDB analyst Hannah Clarke said: “Danish exports of fresh and frozen pork to the EU rose by 4% (+31,000 tonnes) during 2018. Within this, exports to Germany rose by 10% (+33,000 tonnes), exports to Poland rose by 4% (+5,300 tonnes) and exports to Italy rose by 8% (+7,600 tonnes). Meanwhile, shipments to the UK fell by 6% (-8,500 tonnes) to total 129,000 tonnes for the year. Within other pig meat categories, exports of bacon (+22%) and sausages (+4%) rose in quantity, mostly driven by increased shipments to the UK. 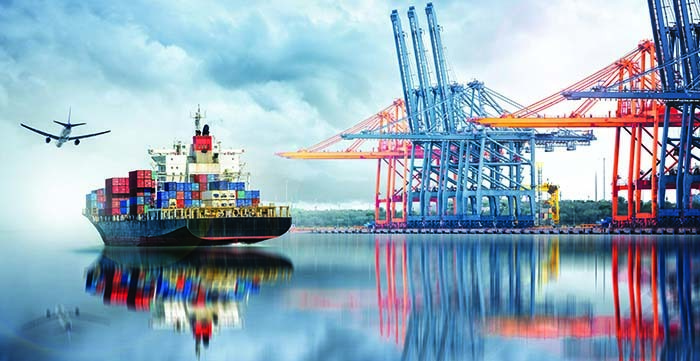 Total exports for both categories for 2018 reached 87,800 tonnes, with the UK receiving 58,500 tonnes (67%) of this total. Processed ham exports fell slightly on the year (-1%) to 48,200 tonnes. This was mainly driven by a 30% fall in the amount sent to the US, offsetting a 13% increase to shipments to the UK.